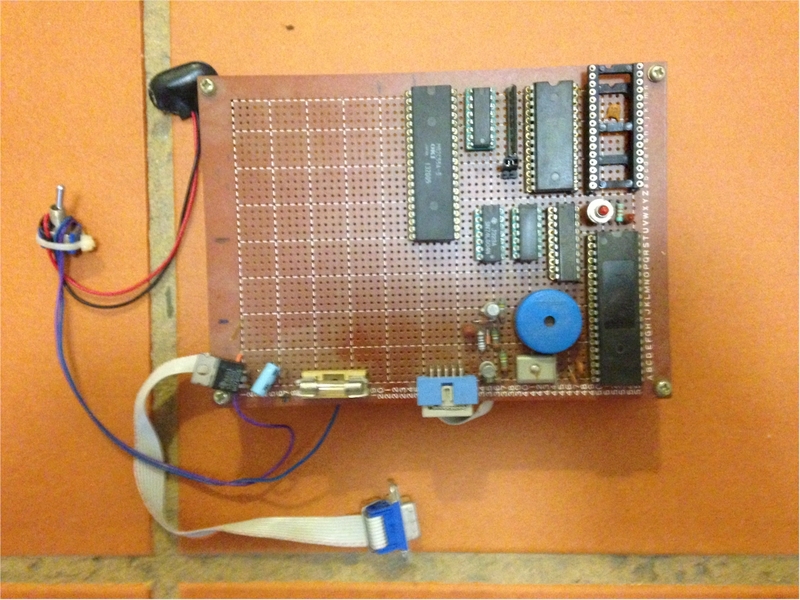 The Arduino hobby project saw me return to a robot project. The 3rd time, 20 years ago, it started by wire wrapping the processor board based around an Intel 8085, writing the monitor ROM in assembler and communicating via an async port at 9600 to my PC. The basic routines all worked, it could play random tunes at random times all was well-ish. It never progressed beyond the wire wrap board and was never mobile. Time to play again. 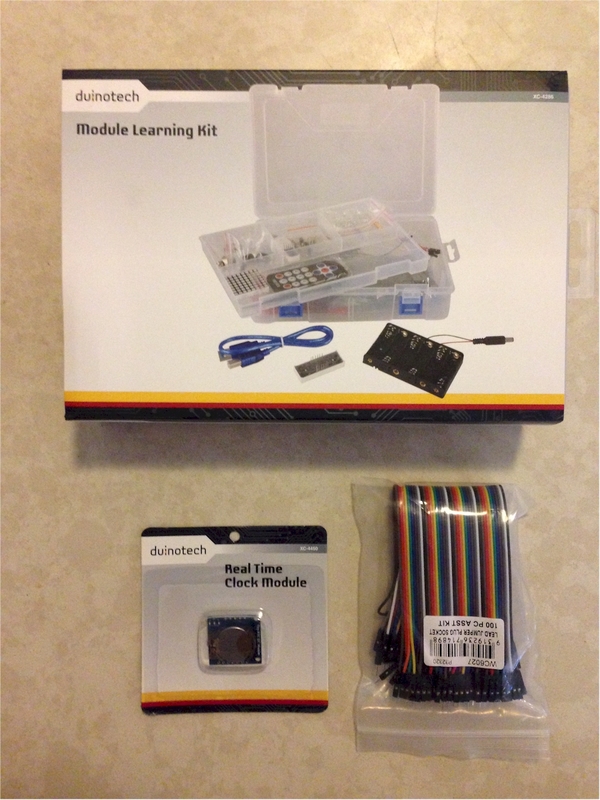 I settled on Arduino primarily because Jaycar is within walking distance and they stocked a lot of Arduino based products. First considered a 4 wheel chassis (and it was on sale) but went with the 3 wheel base after reading people having problems with different 4 wheel robots turning on carpet. The basic idea was to build a little rover that could randomly wander around the apartment, play a tune, say hi, ask to be fed. I then decided to add more sensors and decided to split the project into two; a base station and a rover. Nasa on a tiny scale. The base station can have an unneccesary number of displays and sensors and can be permantly online. 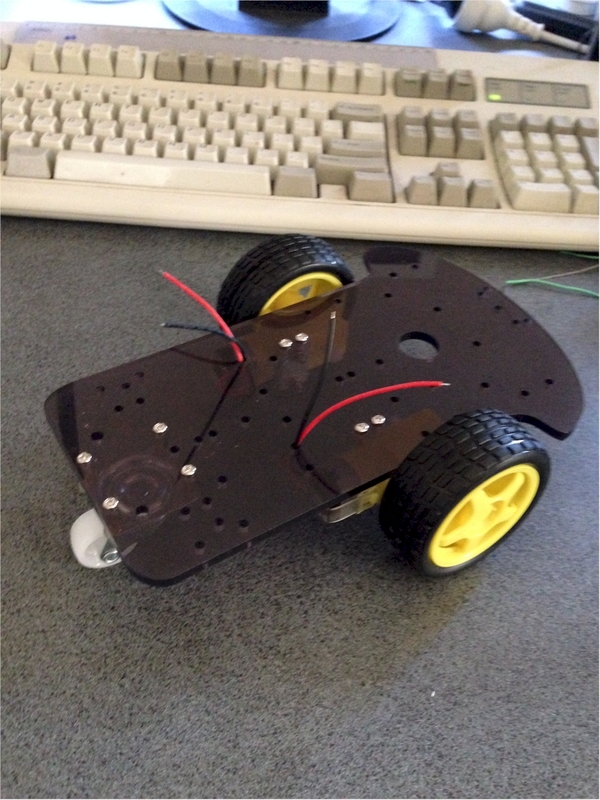 The rover can have basic positional sensors and communciate with the base station via bluetooth. I've been testing small modules and incorporating them into the main projects as they're working. Nothing hard-wired yet, everything is still breadboarded. 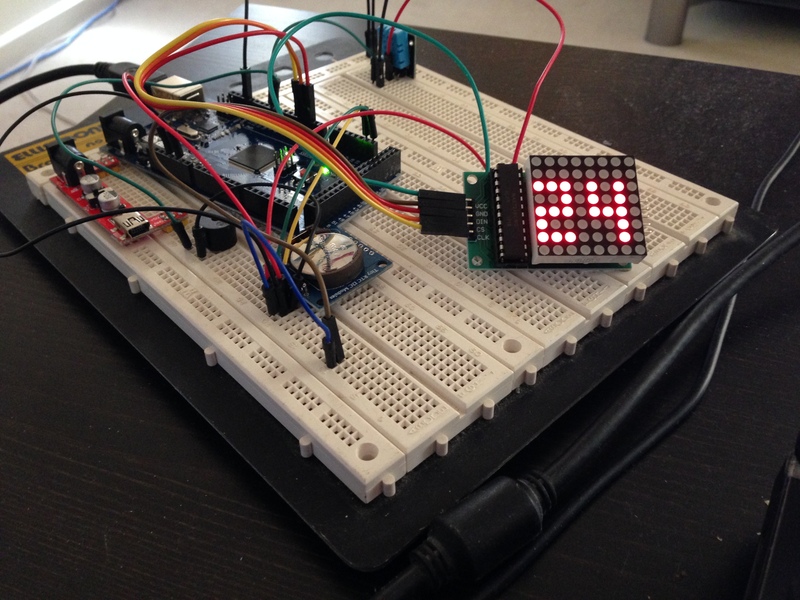 Testing new components on a 2nd breadboard and integrating as the subunit test works. Had lots of problems getting the 8 x 7 segment LED working in the main project. As a test it could update its runtime 10 times a second for over 24 hours. Integrated into main project displaying text once a second it'll become corrupted. Once it worked for 18 hours then went, other times just seconds. Basic chassis is bolted together. 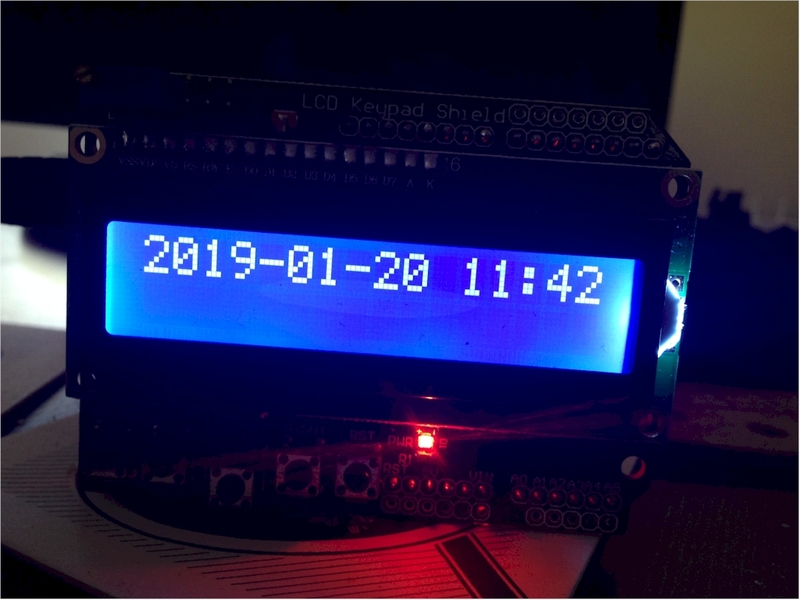 2019-02-20 - Displayed hard-coded test alternating "Idle " and " Loop" for 8 days before the 8 x 7 segment display fails to display anything. 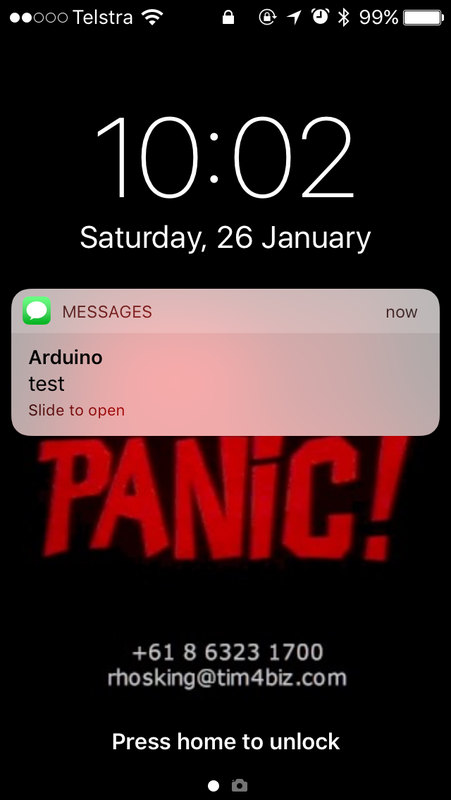 2019-02-11 - Displayed hard-coded test for 20 hours, zero problems. Display current time it falls over within the hour. RTC? buffer? snprintf? time_t? 2019-02-10 - Found a bug in an RTC library, fn declared as returning a bool returns nothing, might contribute to display corruption. Unpack boxes and try to get an LED to blink, hey it's my first Arduino project. Huh, there's an LED onboard. That was easy. Work out algorithm to display game time remaining from War Games. Switch between 'game time' and 'work time'. Add TFT display to emulate WOPR game time remaining display - it will be installed on the side of the base station in an out of the way place as it was meant to be. 1981 Based around How to 'Build Your Own Working Robot Pet' by Frank DeCosta.